In this article we'll break down everything that you need to know about budgets as a new user of Divvy. If you haven't added every employee into Divvy yet, we encourage you to do before you start building budgets. A budget is simply a way to track how funds are being spent with assigned members, or your employees. 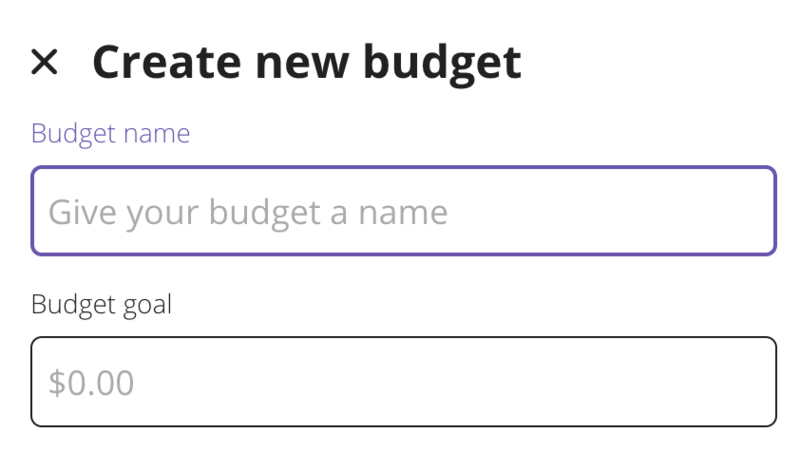 One of the unique things about budgets is that you’re able to name it whatever you want in order to help keep track of it. For example; if you have a specific marketing allowance per month, you can create a marketing budget and assign access to all the members who need access to these funds. This is a simple way to know what was purchased by marketing on a month-to-month basis. Check out our tips on how to organize your budgets. A budget goal is the same as setting a limit to a budget of the max amount you want to spent for the month. You can always increase or decrease this as well, so don't worry if you need to change it. One-time: A one-time budgets is a set amount for the entire life of that budget and won’t reset at the beginning of every month. This type of budget will only retire if there is an expiration date or if you manually retire the budget. 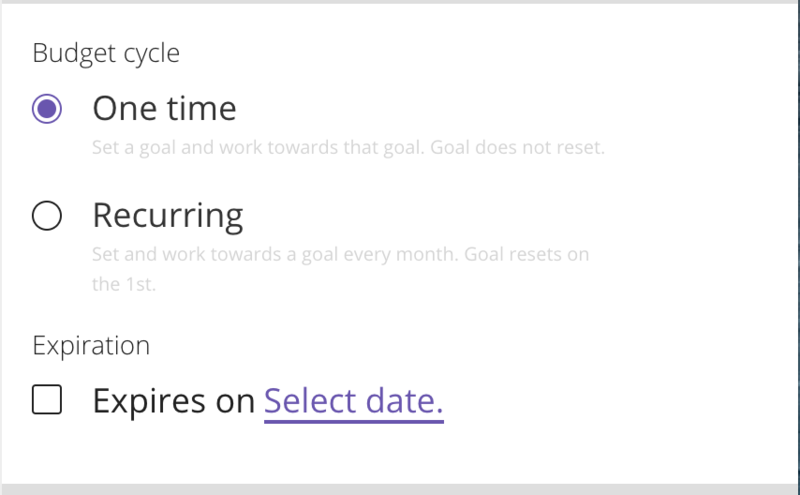 Recurring: Recurring budgets will automatically fund on the first of every month, updating to the amount that you have set as the Monthly Goal. This will not retire unless you have chosen an expiration date or manually retire the budget. Setting an expiration date: With each budget you can also set an expiration date. If you choose an expiration date, that budget will automatically be retired when you hit that date and no one will have access to the funds in that budget. Once it’s retired, you will not be able to bring that budget back. You'll need to add at least one owner for each budget. But, you can also choose to add multiple people as owners of a single budget. Next, choose which employees to add to the budget you’ve created. Don't worry though, this can always be edited after creating a budget. You will need to select at least one budget owner in order to continue further. You may also select multiple owners and members. An owner of a budget can control the allocation of the funds in a budget and divvy them to either members or virtual cards. Only owners and admins can create a virtual card within the budget. A member is someone who can spend from the funds that have been divvied to them. NOTE: You can make someone an owner or member at anytime. 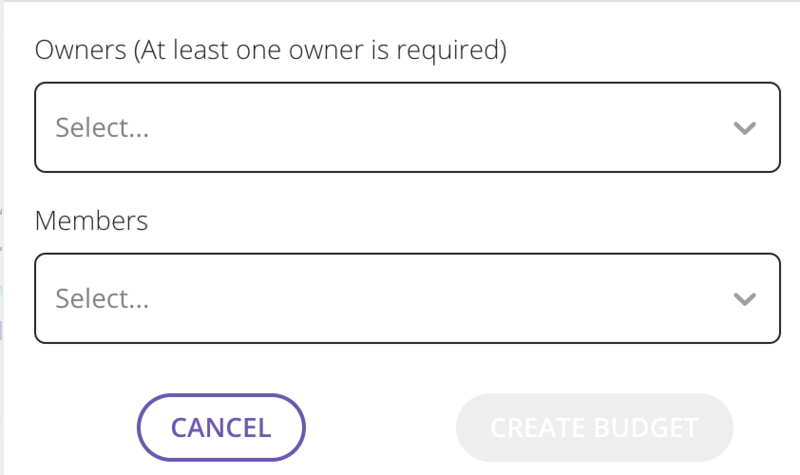 After you’ve created a budget, you’ll have the option to divvy funds right away to users and create virtual cards! Don't quite know how to use your Virtual/Subscription cards? If you have any other questions, shoot us a message using the purple chat button and we'll be happy to help.